Theresa Phelps is a member of the Firm’s Litigation and Labor and Employment Practice Groups and a member of the Firm’s Management Committee. 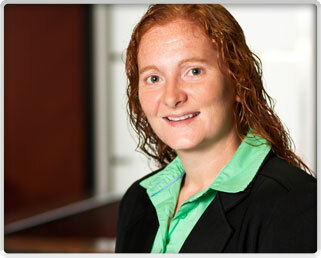 Theresa joined the firm in 2009. Before joining the firm, Theresa was a litigation attorney for Schmiedeskamp, Robertson, Neu & Mitchell, LLP and also for Lewis, Rice & Fingersh, L.C. Theresa practices in all areas of general civil and appellate litigation, with an emphasis in commercial litigation and employment law. In addition to her litigation practice, Theresa routinely counsels and assists clients with day-to-day human resources and employment matters, implementation and review of policies and procedures, and drafting of employment-related agreements and documents. In addition to litigating claims at the trial and appellate court levels in various state and federal courts, Theresa has also represented clients before various administrative agencies, including the Equal Employment Opportunity Commission, the Missouri Commission on Human Rights, the Missouri Department of Labor and Industrial Relations, and the Illinois Department of Human Rights. Prior to entering private practice, Theresa was a judicial law clerk for the Honorable Chief Judge David R. Herndon in the United States District Court for the Southern District of Illinois. Theresa was also an instructor in the Paralegal program at Southwestern Illinois College in Belleville, Illinois. Theresa has a wealth of experience representing clients in matters related to employment and human resources issues, business disputes, shareholder and corporate disputes, covenants not to compete and trade secrets protection, defamation claims, business interference claims, real estate matters, landlord-tenant disputes, antitrust issues, and lender liability questions. Theresa also has significant experience in and provides consulting and training services to employers regarding employment law and human resources matters.